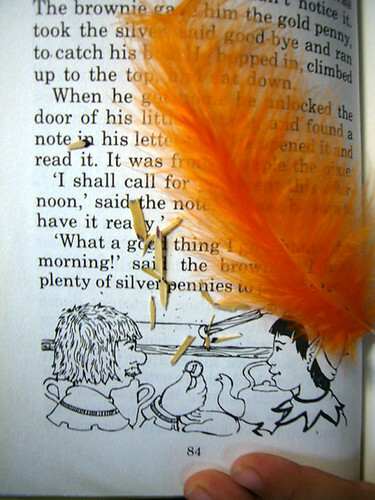 I wonder how many of you ever try or believed that by feeding a feather with pencil shavings, it will grow and reproduce. I did! When I was in primary school, my classmates and I used to keep those beautiful colored feathers in books and fed them with pencil shavings. When I tell this to my primary 4 daughter, she wanted to try it. After 2 months, there is still no sight of a new born feather…I remember it did reproduce when I was in primary school or my eyesight something wrong…hehe. 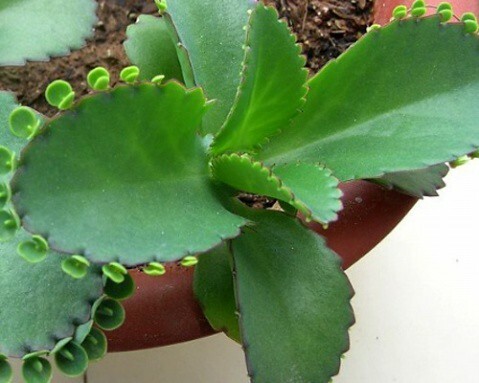 Another thing I used to keep in my books is ‘落地生根’ (pronunced as LuòDìShēnɡGēn) or Bryophyllum pinnatum leaf. 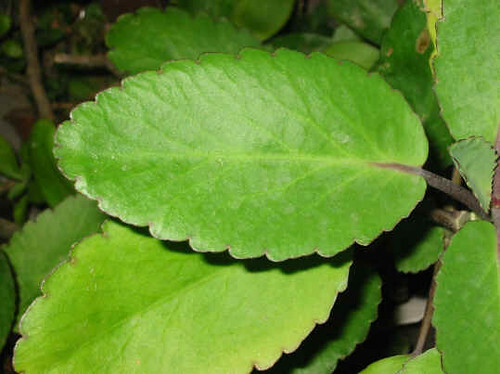 I used to tear a leaf off from my godmother pot of 落地生根. After some time, roots will grow from the leaf! To a primary school boy, this seem to be a miracle! So what other things you keep in your books besides bookmarks? A very belated Happy 牛 Year to all (though I’m rather late in this greetings…the last day of Chinese New Year). Finally things have settled down and I managed to squeeze some time to blog. This year the Chinese New Year falls in January, the first month of the year 2009. Before I could rid off my old 2008 calendar, the Chinese New Year is already around the corner and now the 2 days holidays were over. Every end of the year, I will be looking forward to getting new calendars for the following year. Every beginning of the year, I will be deciding which calendar to use for the hall, and each room or to be given away if there is any extra. Sad to say, nowadays the number of calendars are getting lesser and lesser probably due to poor economy. 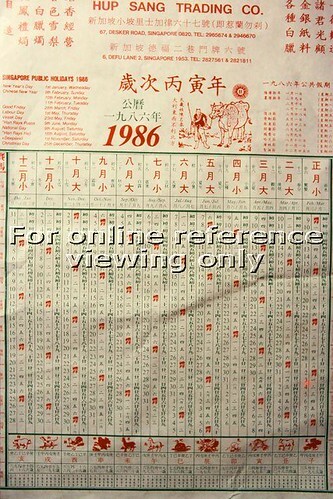 I personally preferred my Tampines Town Council table calendar. 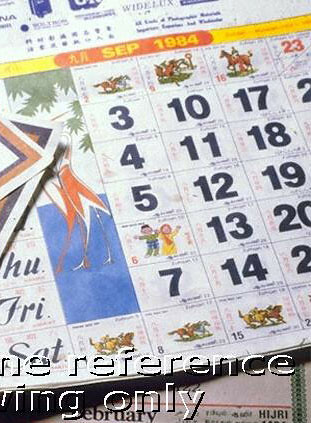 I’ve not used those olden times wall calendar for a long long time. 1. Single Page Date Type. I love this type of calendars especially now that my eyesight is failing haha. But I hate the hassle of tearing the paper daily. Some people will use the paper torn off to place those bones during their meal time (good recycle idea!). 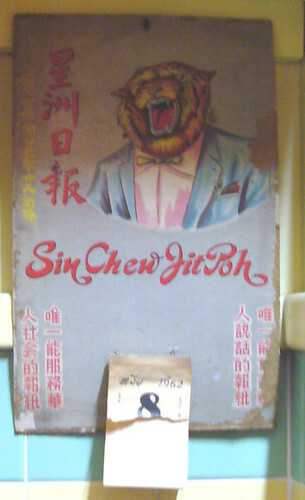 Of course most of these calendars were attached to an advertisement board as seen below and they were usually given free by the company. 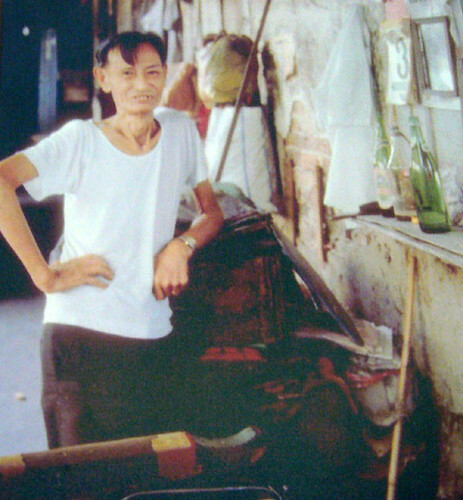 You can even see that this roadside barber (below) also hang one such calendar on the wall. 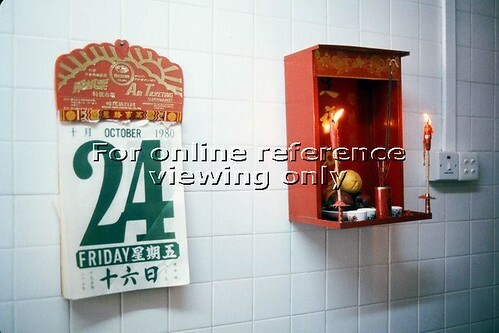 The setback is that one must usually put a nail on the wall to hang such type of calendar which is probably why most people are not using them now. The other type of popular calendar is the horse racing type showing the dates of one whole month on one page including the horse racing dates. I like this type too as I only need to tear off the page after 1 month and not on a daily basis. 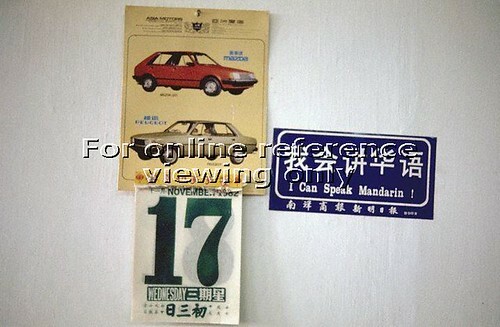 There is also a smaller version for those taxi drivers to hang in their cabs. These are very popular type among some shops like car workshops, furniture shops, etc.. where women in swimsuit type of calendars were usually hang on their shop walls. Sorry for not blogging for a long while as I’m unable to do so. My father (only 78 this year) has suddenly turned from independent to dependent. In December last year, he was having problems in getting up from his bed and finding difficulties in his movement. I thought it maybe gout and arthritis but after 3 weeks, he was admitted to Tan Tock Seng Hospital. He was warded for a week, and everyday he was tested for what causes the sickness. He was diagnosed to have Polymyalgia Rheumatica, Frozen Shoulder and Mild Cervical Mylopathy. There isn’t much the doctor can do except to give him some pain-killer and discharged him to do Physio Therapy at another step-down hospital. He was discharged a couple of days before the Chinese New Year and now it was almost 2 weeks plus. After he was discharged, I’m his caregiver and I need to attend to all his needs 24/7 including bathing for him, etc… I thought taking care of my kids from baby to teenager is tough but now taking care of my father is even much more …. not only physically taxing but also mentally taxing. I’ve finally managed to shed 4 kg off within 1 week! The only contention is after these 2 weeks of home therapy, he is improving on his movement. Now I start to fear…will I be the same in 30 years time…when I aged. For those that I’ve not reply to you, my apologies.